Is this because younger people are driving less? Are they spending less on their cars? Do younger drivers have other things they would rather spend their money on than a new car? All we know is that maybe marketers should be rethinking their targeting strategies. We want to hear from you. Are you a younger driver who’s not planning to buy a new car? Tell us why on our Facebook page! Regardless of the type of car you’re driving, if you’re driving at all, make sure you’re insured. Get state-minimum auto insurance from SafeAuto. 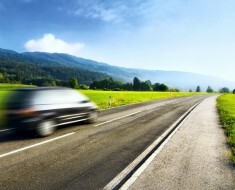 For a free quote, visit our website at www.safeauto.com.